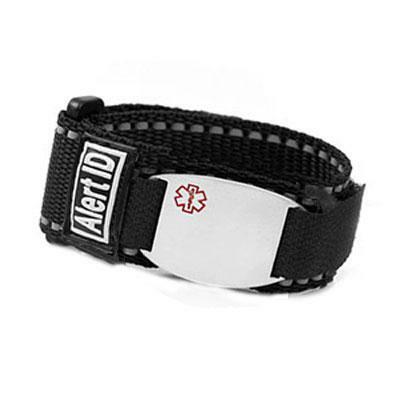 Price includes One Engraved Medical Tag with One sport strap. No further discounts on this laser engraved product. 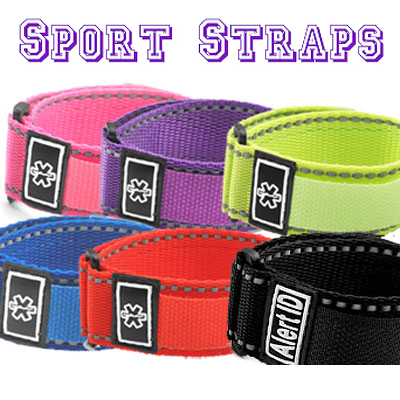 *Note: If ordering Black strap in Large (Fits 5.5" to 8" wrist), strap says "Alert ID." SIZING: Please measure carefully. 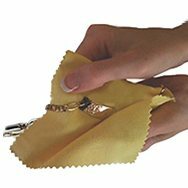 Measure wrist or arm where you will wear your band. This item is not re-sizable.